A joint House and Senate Budget Conference Committee continued to meet this week on House Substitute for Senate Bill 25 and Senate Bill 75, the House and Senate versions of the state’s appropriations bill. Conferees will meet again during the veto session to negotiate differences between the two Chambers’ bills. Multiple meetings between the two Chambers resulted in the House eventually acceding to the Senate’s offer in Senate Bill 16 of additional funding for Kansas schools in the amount of nearly $90 million-a-year for four years. The Governor promptly signed this bill which was essentially the proposal in her budget. Last summer, following over a decade of litigation, the Kansas Supreme Court had ordered the legislature to pass a new funding law, by April 30th, that would “adequately” fund Kansas schools. The hope is that now, with the additional funding, the Court will render a decision finding that the legislature has provided adequate funding to meet the Kansas Constitutional requirement of “suitable provision for finance of the educational interests of the state.” On April 15th, Kansas Attorney General Derek Schmidt will present this new funding to the Court which increases the base state aid per pupil. This week, following Governor Kelly’s veto of Senate Bill 22, the Senate was unable to secure the necessary votes (27) to override the veto on the Senate floor. This bill would have decoupled portions of the Kansas corporate tax code from the federal corporate tax code following passage of the 2017 Federal tax cuts and jobs act. The House amended the bill to include language which reduces the state sales tax on food by 1% (to 5.5%). In order to pay for the sales tax reduction on food, the bill was also amended to require a tax on sales in Kansas conducted over the internet. It was thought that the House amendments would give the Governor a reason not to veto the bill. There may yet be life in the contents of the bill if they can be rolled into another tax conference committee report during the veto session. This week, Substitute for Senate Bill 69, was officially presented to Governor Kelly for consideration. This bill authorizes a study of retail rates of Kansas electric public utilities. This comprehensive rate study bill, containing compromise language between energy consumers and utilities, will help the Legislature determine what steps to take to lower rates. The bill would require the LCC to select an independent organization to evaluate electric utilities and include input from residential, commercial and industrial customers, as well as advanced energy stakeholders. The bill would establish the issues the study must address and would require Kansas electric public utilities to provide relevant information upon request. The intent of the bill is to provide solutions for the Legislature to consider regarding how to lower rates in Kansas, and make Kansas rates more competitive with the region. Governor Kelly has stated that she looks forward to receiving the bill, as this is an important issue to Kansans. On Thursday, a Conference Committee of the House and Senate Commerce Committees agreed on the final language of House Bill 2006 and then placed the contents of that bill into House Bill 2223. House Bill 2006 (now, House Bill 2223) would create a publicly available examination of economic development incentives for Kansas businesses, including tax credits and property tax exemptions of $50,000 or more annually. The bill would authorize the Legislative Post Audit Committee to conduct a systematic and comprehensive review and evaluation of each “economic development program” every three years. On Friday, the Senate passed the committee report on House Bill 2223 on a vote of 37-0, but the House did not take it up for a vote. On Monday, the House passed on final action House Bill 2178, a bill which would maintain legal obligations utilities have to mark underground electric lines. Utilities are required to mark lines they own, but are not required to mark privately-owned lines. Passage of HB 2178 would prevent a 2018 KCC order from going into effect which would place a new requirement on utilities to mark privately-owned lines. HB 2178 also requires the state’s one-call center to inform those requesting an underground line locate that utilities are not required to mark privately-owned lines. The bill now moves to the Governor for consideration. 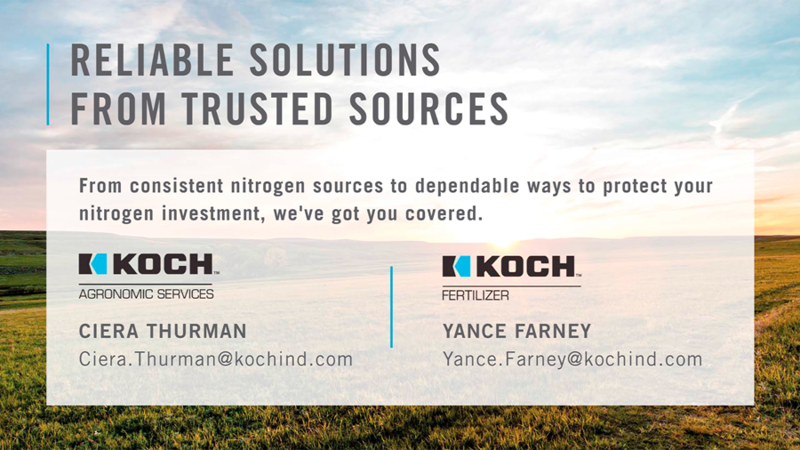 On Friday, as the last bill of the 2019 regular session, the House and Senate passed Senate Substitute for House Bill 2167, a bill which would establish the procedures to be used by the Kansas Department of Agriculture (KDA), in consultation with the Governor and the Attorney General, in submitting a plan to the U.S. Department of Agriculture under which the KDA would monitor and regulate the commercial production of industrial hemp. The bill would amend existing law to rename the Alternative Crop Research Act the Alternative Crop Act and would add the definitions for “commercial” and “hemp producer” to the Act. Industrial hemp, when cultivated, produced, possessed or used for activities authorized by the Alternative Crop Act would be excluded from the definition of “marijuana” in current law and would be excluded from the list of Schedule I controlled substances. Hemp producers who violate this Act or associated rules and regulations would not be subject to any state or local criminal enforcement action. The bill now moves to the Governor for consideration. While the legislature did not pass amendments to the scrap metal theft reduction act presented in Senate Bill 219, the House Judiciary Committee has scheduled a hearing on the bill during the veto session. The hearing will be held at 8:30 am on Thursday, May 2nd in room 582n of the Capitol. This bill amends the scrap metal theft reduction act by creating the scrap metal data repository fund, and authorizing the Kansas Bureau of Investigation to administer the program. Committee amendments removed a proposed excise tax and reduced the registration fee on scrap metal dealers to no more than $500. Renew Kansas, Kansas Grain and Feed Association and Kansas Agribusiness Retailers Association joined a group of other interests in supporting passage of the bill. On Monday, the Senate confirmed, on a final vote of 23-14, Governor Kelly’s nominee for Secretary of Commerce, David Toland, despite a voice vote by the Commerce Committee to not consider his nomination favorably. Opposition to the appointment was from local political and policy differences during his tenure as the CEO of Thrive Allen County. On Friday, the Senate confirmed Mike Beam, on a vote of 37-1, for Secretary of Agriculture. Prior to his appointment, Beam served for 38 years as the chief lobbyist for the Kansas Livestock Association. Also on Friday, the Senate confirmed Bradford Loveless as the Secretary of Wildlife, Parks and Tourism on a vote of 37-1. 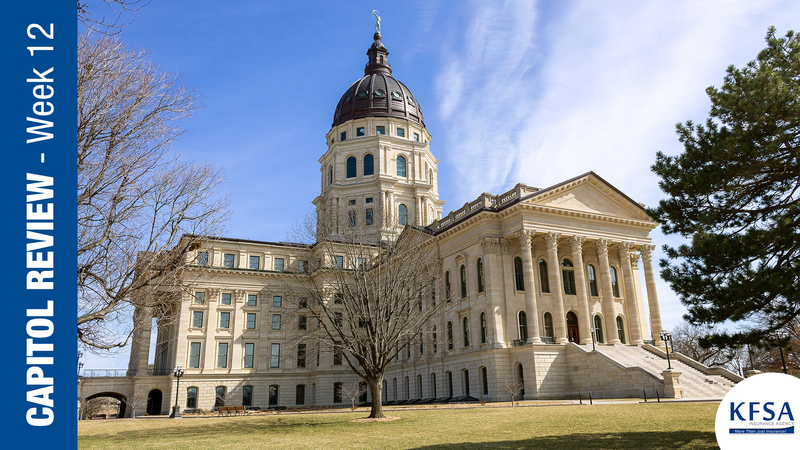 On Friday, the legislature passed House Bill 2039, a bill which provides many updates to the Kansas limited liability company law concerning series LLC’s, amendments to LLC structure, and other changes based on updates to Delaware law that had not yet been incorporated. The bill now goes to the Governor for consideration. On Friday, the legislature passed Senate Bill 63. This bill would authorize the operation of ATVs and work-site utility vehicles across a federal highway or a state highway. The bill also would authorize a person engaged in agricultural purposes to operate an ATV or work-site utility vehicle on the shoulder of a federal or state highway. In addition, other language was added to the bill which would require a driver to stop a vehicle at least 15 feet before crossing a railroad track if non-train equipment is located nearby on the track. The bill now goes to the Governor for consideration. Sen Sub for House Bill 2007: This bill would authorize the KTA to issue revenue bonds payable partly, rather than solely, from revenues to finance turnpike projects authorize the secretary of transportation to designate or construct toll projects; and, change toll project financing requirements. House Bill 2225: This bill would increase the annual permit for overweight trucks to $200 to be consistent with the annual overweight permit for ag products. Agribusiness interests lobbied hard to ensure that the annual overweight permit would be no more than $200. Single trip fees would be $40 per trip. Substitute for House Bill 2214: adds vehicle registration fees for all-electric vehicles ($100) and electric hybrid vehicles ($50). House Bill 2119: allows a business entity to employ or contract with an in-house physician, referred to as the corporate practice of medicine. The House and Senate passed this bill on final action on Friday. The bill now goes to the Governor for consideration. House Bill 2127: eliminates marking requirements for trucks and trailers less than 26,000 lbs. The Governor has signed the bill into law. House Bill 2209: authorizes a non-insurance healthcare benefit coverage (requested by the Kansas Farm Bureau), and allows for Association Health Plans (AHP). Passed by the legislature, the bill now goes to the Governor for consideration.